Built in 1828 for the Reverend Thomas Coates Caine, Brackenhurst later became the home of Sir William Norton Hicking who, with his father, founded G and WN Hicking, lace bleachers and finishers of Nottingham. Sir William was also Chairman of the Nottingham and Notts Banking Company. On the 23 April 1861 Field Marshal Edmund Henry Hynman Allenby, 1st Viscount Allenby was born within the Hall. 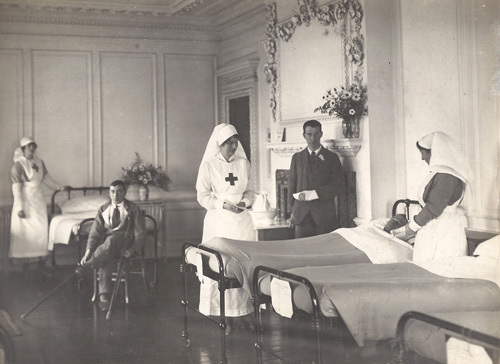 During the Great War Brackenhurst Hall was used as a war hospital. 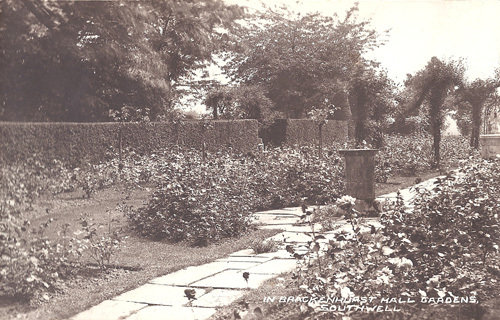 In 1947, Sir William died and the estate was sold to Nottinghamshire County Council and was opened in 1948 as a Farm Institute. In 1999, Brackenhurst College merged with Nottingham Trent University and has been an integral part of the University ever since. 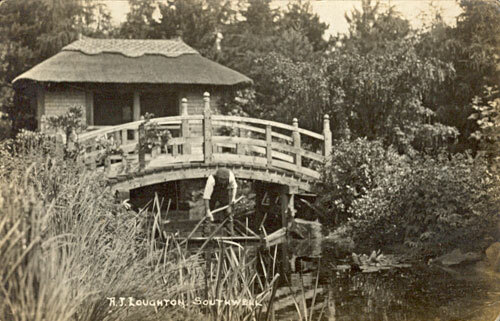 This photograph of the summer house and bridge on the dew pond at Brackenhurst Hall shows a workman on a boat with a scythe in hand, presumably to use to cut back the reeds growing by the side of the pond and seen in the foreground of the photograph. 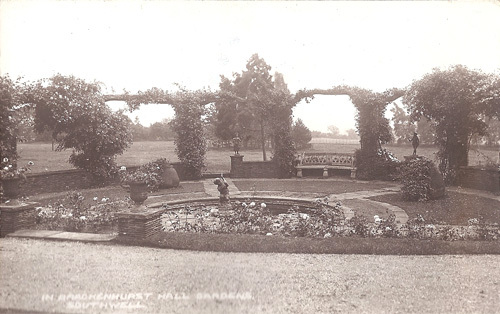 The summer house and bridge are still in existence and can be seen by following this link: Brackenhurst summer house and bridge on the dew pond. 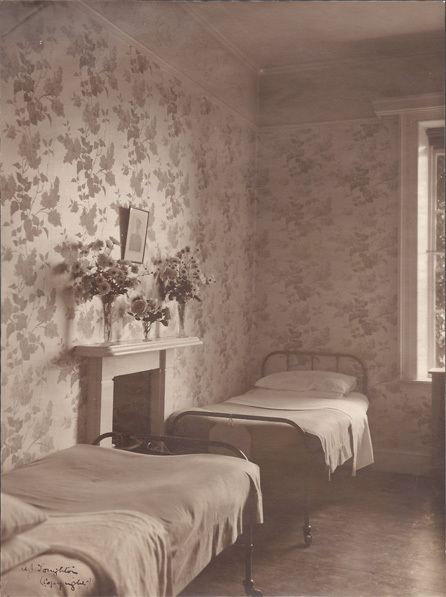 This photograph was taken during the Great War when Brackenhurst Hall was a military hospital, it shows the room in which Field Marshal Viscount Allenby was born on 23 April 1861. 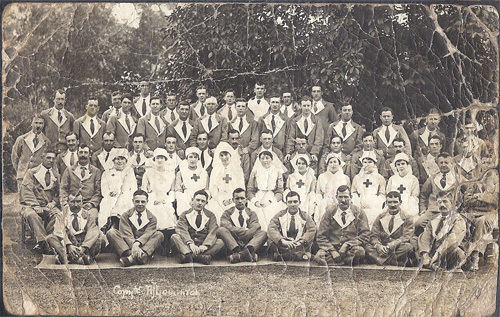 A group shot of soldiers and nurses taken in 1916 when Brackenhurst Hall was a military hospital. The story of why this photograph is all creased up is not known. Meal time at the hospital. It looks like they had a good appetite as the plates are all empty! 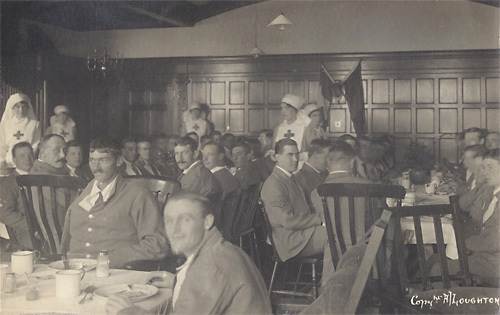 Soldiers and nurses on one of the wards. The pond in the Rose Garden. 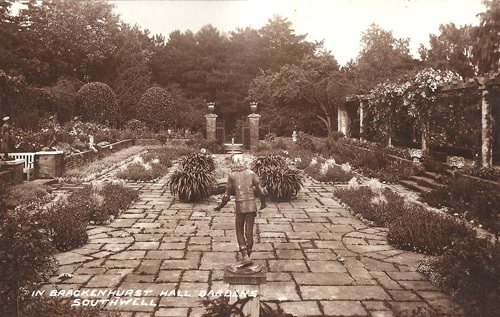 A long view of The Sunken Garden. 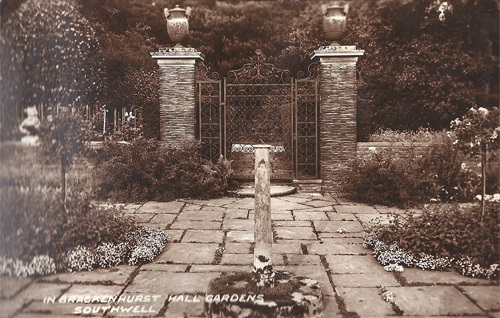 The gate at the end of The Sunken Garden.